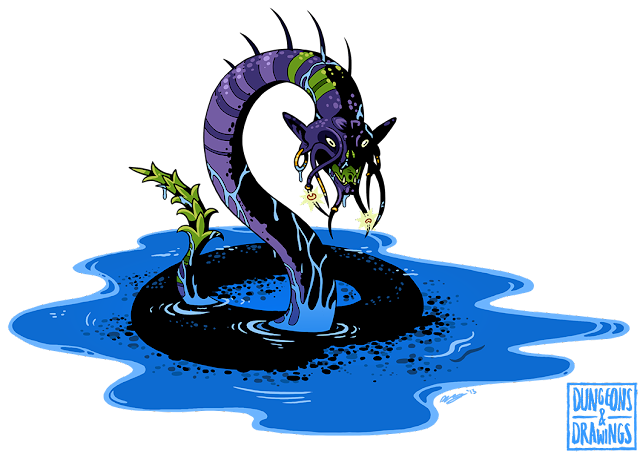 Somehow the Bannelar isn't considered a naga despite its humanoid face and snakey body. Bannelar are quite large creatures, at least 20 feet in length. 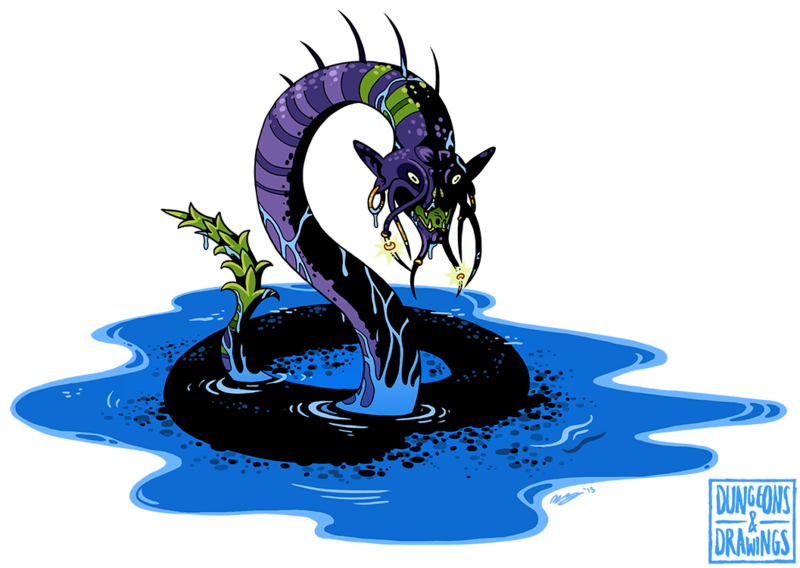 They can be found both in water and out of it, and can cast spells to control the water about them. Among their special features are the whiskers about their mouth, which are actually prehensile and can be used to wield small objects, such as wands and rings. However, the whiskers aren't dextrous enough to wield weapons. Not that it needs it since their stingers and bites come with knock-out poison. Good night to you chumps. Another drawing where the research phase was quite nice. There are lots of pretty eels and sea snakes out there. Also, I'm quite pleased with the way the Bannelar's stinger looks. Very pineappley. Ay! qué miedo que me da!